Earn 0.75 Weta Dollars! What's this? 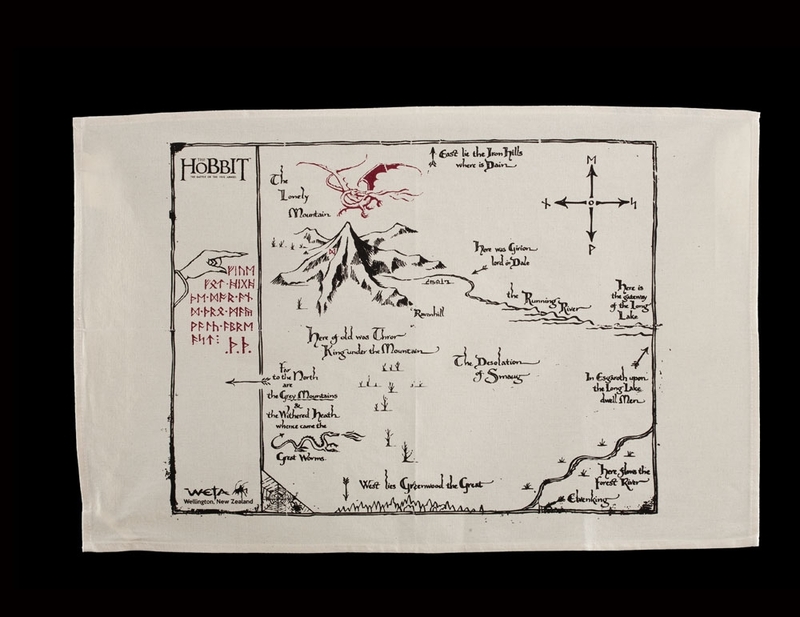 Every great adventure needs a treasure map and in The Hobbit: An Unexpected Journey, the map was created by Thror, grandfather of Thorin Oakenshield. It contains not only the lay of the land, but also detailed instructions. Some clear as day, some concealed. This tea towel is made of 100% cotton.